Mixture Styles Boxing is the mixture styles combined rehearse of traditional Xingyi Quan. It looks gorgeous but simple to use, spectacular, quadrate up and down, including everything, moving a lot but smart, changeable in posture and linked up. 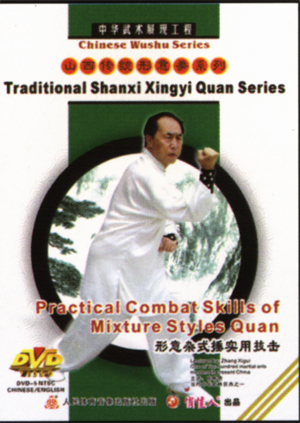 It is the routine of traditional Xingyi Quan which contains many techniques and needs many circles.